This design is missing some of the more whiz-bang features of more expensive options, notably any kind of programming function. It makes up for it with a combination of utilitarian features and excellent build quality.While a less than perfect, the Impulse offers a light show that should appeal to gamers and a selection of switches that will make your fingers jump for joy. For under $100, it’s an easy mechanical keyboard to recommend for both beginners and connoisseurs. Hexgears sent us the Impulse equipped with Kailh BOX White switches and “pudding” caps. The first point first: this is one of the only pre-built keyboards available with the BOX switch designs. 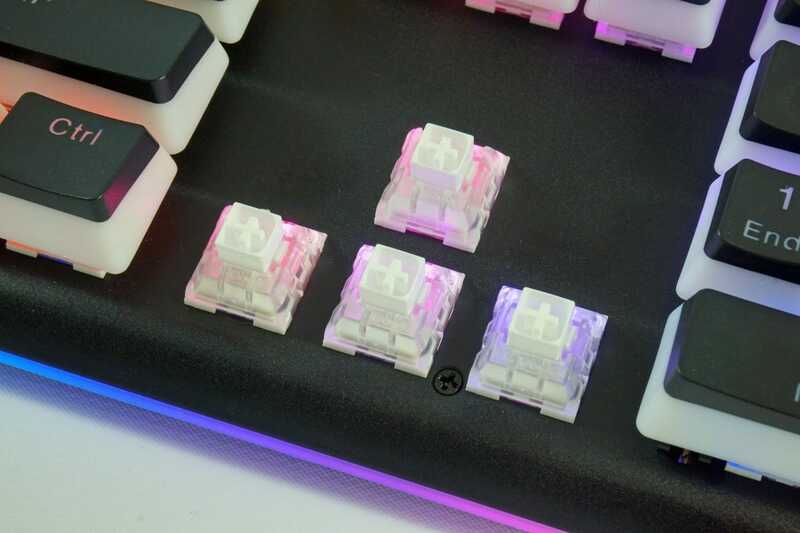 Broadly similar to the familiar Cherry key switch and its innumerable clones, Kailh’s BOX switches add a plastic square around the stem. This keeps the keys compatible with standard keycaps, while also making the travel much more stable and smooth. 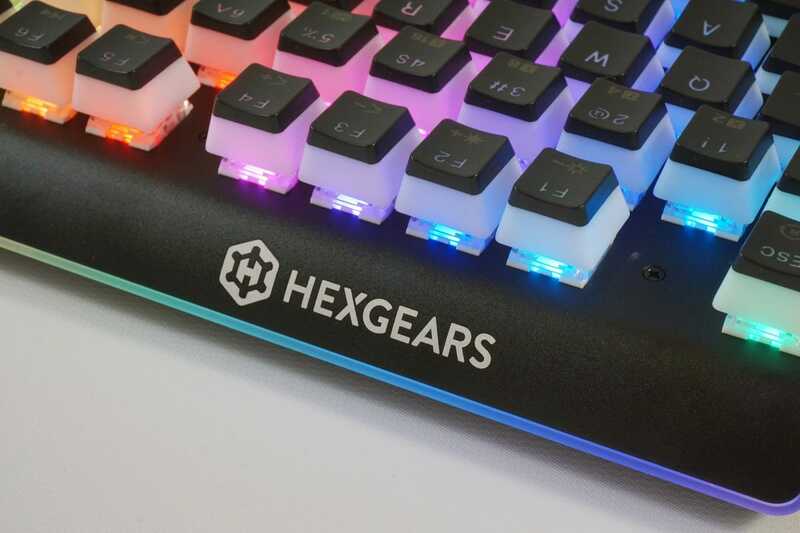 Hexgears is offering the keyboard with BOX Brown (middle stiffness and tactile, a noticeable bump with no click), BOX White (middle stiffness and clicky) or “Hako Clear,” a more niche and much stiffer tactile switch. 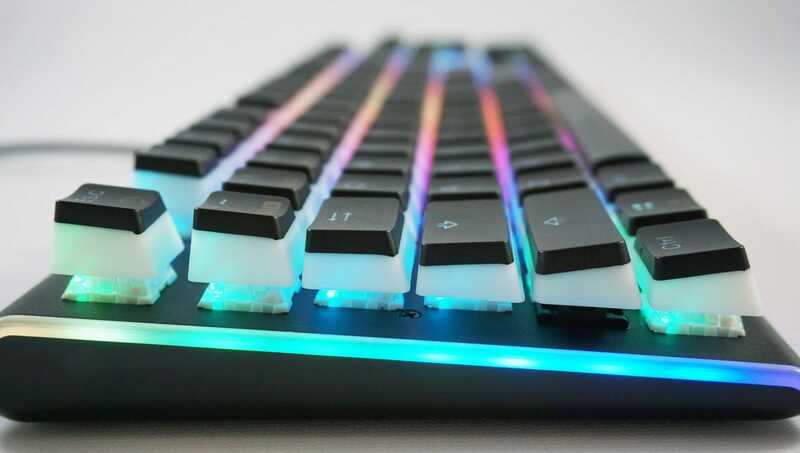 The Kono store sells the Impulse in only one size, but with combinations of single-color white and RGB LEDs and the “pudding” two-tone keycaps featured in this review, with prices ranging from $80-100 depending on those options. The keyboard is marketed as “spill proof,” but that’s more a function of the key switches themselves than anything else. With those stems extending all the way around the entrance of the switch and keycaps firmly in place, it’s very difficult for water (or Coke, or coffee, or beer, et cetera) to get to any of the delicate mechanisms inside. Hexgears says the keyboard is IP56 water-resistant, good for anything short of a full dunk into liquid. 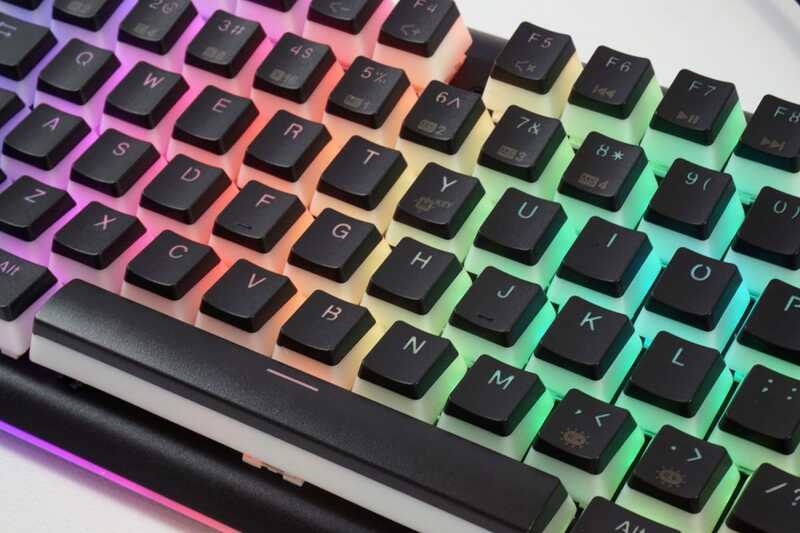 Other charms of this design include per-key LED lighting and a full ring on LEDs around the plastic casing, PBT (read: fancy) plastic keycaps with shine-through legends, and a six-foot braided cord. In a word, this keyboard is solid. 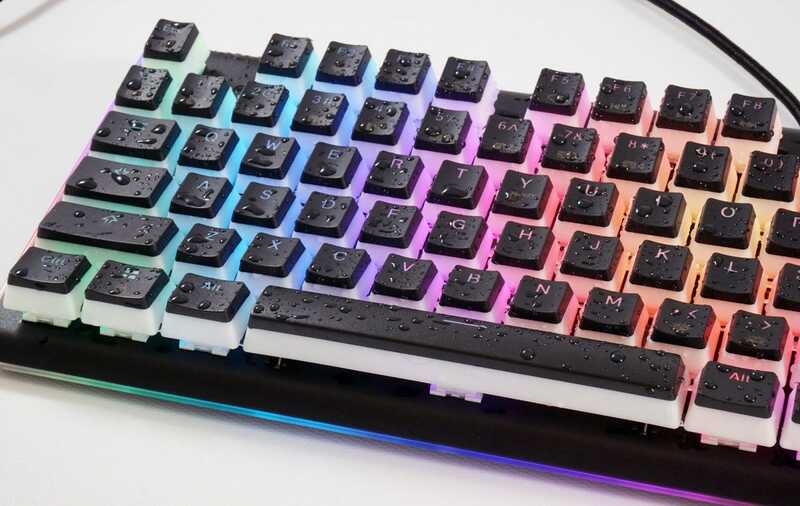 While you don’t get the full metal body, detachable USB cord, or modular switches of more premium designs, its excellent build quality surpasses most of the better-known keyboard builders in this price range. Kailh’s BOX switches make for a smooth, even travel on the keys, and the two-tone pudding keycaps make for dramatic lighting even at lower intensities. 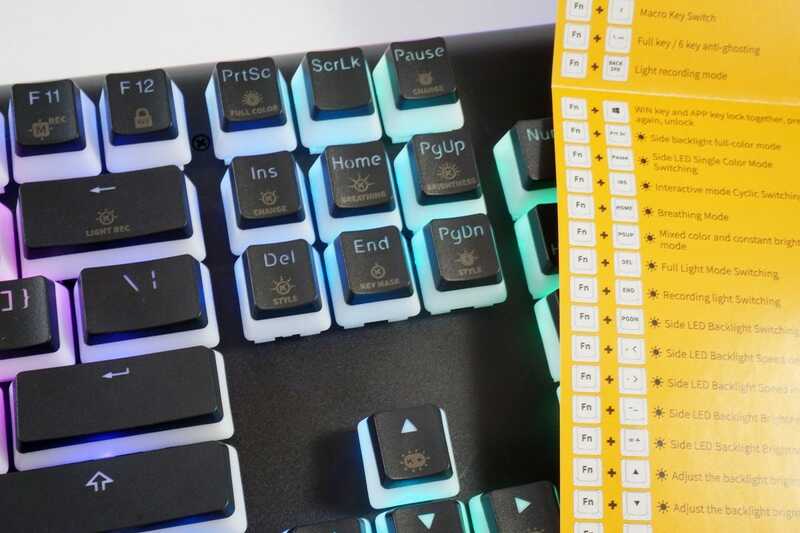 While not explicitly a “gamer” board—the lack of linear options will surely bum some out—the independently-controlled light show for the keys and the LED ring will surely delight users who like to make their desk into a miniature rave. The key stems and standard layout are compatible with all ANSI-formatted keycap sets, so the Impulse is a good board if you’re looking to customize it after purchase. Underneath you get the usual fold-out riser feet, though the keyboard is thick enough that I doubt many users will want an even taller profile. A gently curving deck, with a rather large printed logo on the top edge, is the only other adornment. If you need to open the plastic case (see the water resistant testing below) it’s easy to remove the screws and expose the circuit board. The lack of a removable USB cable is understandable, given that Hexgears is promoting this design as spill-resistant. Ditto for the plastic build—no chance of rust and easier cleaning. But the lack of any kind of control software is a bit of a downer, if only because managing the two sets of LED lights is a chore using just the default key commands. That goes double for macro programming. While it’s technically possible using only the keyboards keys and function commands, it’s a serious headache. 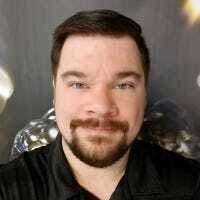 As tedious and overblown as most gaming programming software tends to be, I think it’s a much better way of managing complex keyboard programming tasks. The lighting is at least offered with a wide variety of flashing and constant modes, enough to please even the most ravenous LED-lover. Hexgears doesn’t offer API integration with any of the common PC RGB programs, but the key lights are almost searing in brightness (you can turn them down) and can be controlled separately from the edge lighting. It’s a shame that most of the function controls are merely printed on, and can’t be seen in anything less than solid office lighting. In the name of thorough testing, I splashed the Impulse with the liquids it’s likely to encounter in any office desk. With the keycaps on—it seems unlikely that anyone would spill a drink on it otherwise—I doused the deck with water. After cleaning off the surface splash, removing the caps, and then cleaning the deck, it worked fine. A more intense round of liquid attacks were too much for the keyboard to handle. After pouring six ounces of water, Coke, coffee, and beer directly on the caps and letting it dry for a few hours, it still worked, but was having major input errors. Letting it dry out even further didn’t help. Eventually I had to remove the caps, then the screws holding the plastic case together, and finally go at it with a hair dryer to remove all of the moisture pooled inside the case. Even then individual keys were returning errors, so I had to do some careful testing with the PCB exposed and clean some of the residue from the bottom side in order to return the Impulse to full working order. Even so, the switches are working great and don’t seem to have sustained any internal damage—which regular Cherry-style switches would have. The Impulse probably can’t withstand a bender’s worth of spilled drinks, but the occasional water or coffee splash won’t phase it if you clean it up quickly. 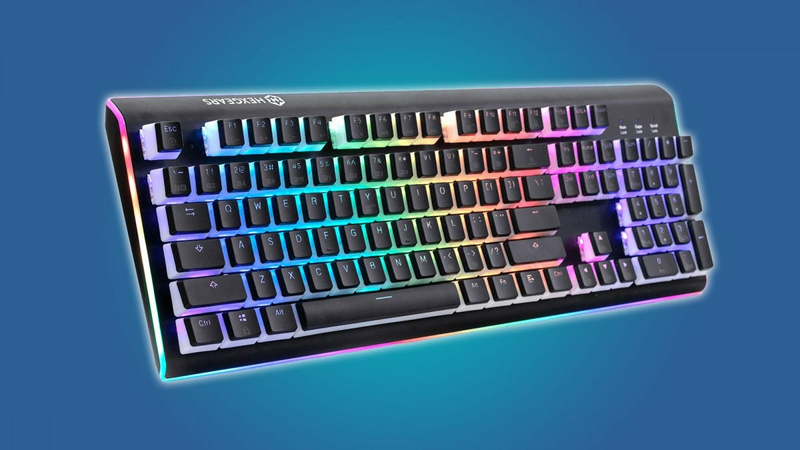 The Hexgears Impulse is a solid keyboard at any price, but with an impressive selection of BOX switches starting at eighty bucks, it’s a particularly compelling choice. While I wish it was easier to program macros and lighting, and a linear choice for switches would please PC gamers, it’s still an excellent option for those looking for a quality mech that can survive an assault from a spilled drink or two.